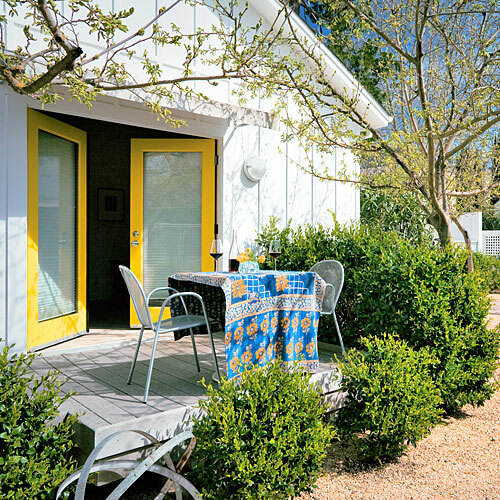 For a wine-country getaway that feels both homey and stylish, nab a stay at the Healdsburg Modern Cottages. The four mini homes clustered around a pool are just a stroll away from the shops and restaurants on the town square. Each has a sitting room (think Bertoia wire chairs and iconic bubble lamps) with a flip-switch fireplace, plus a private patio.